Green Belly started when Juan shared his mother’s traditional Guatemalan hot sauce. 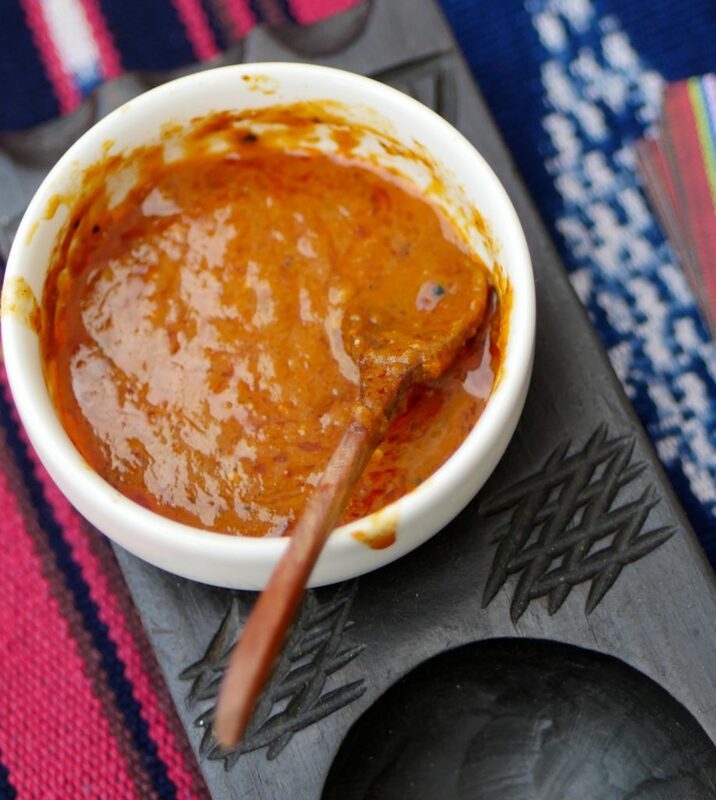 Maria del Carmen's home-made hot sauces instantly became a hit with Juan's friends. They were blown away by the unique cilantro, garlic and habanero blend. The sauce is so fresh and tasty that Juan was bombarded with requests. Eventually his friends convinced him to start selling at the local farmer’s markets. So he opened up a tent at the market, people loved it and his business has been growing ever since! During that time, he recruited his cousin Charlie to help him with the fledgling business. Charlie’s minor from CU’s Leeds School of Business and his experience with a wine startup came in very handy. When Juan opened the first tent in 2015, they were so new to large scale production that they could hardly keep up with demand. Both cousins had other full-time jobs to juggle, family and kids, but the constant demand for Green Belly showed us them they were onto something special. The craving for Green Belly has been overwhelming! People come up to us at farmers markets and tell us they can’t get enough of it. We receive orders online from all over the country and have even shipped to Europe! People from all walks of life have shared their stories about how our sauces have changed their diet and brought new explosion of flavor into their daily meals. It's been 3 years of hard work and constant determination to keep this growing. The most important contributions we've received have been the continuous love and support from our customers who crave our sauces. We would like to thank everyone who has helped us along the way! Some highlights from our journey include: learning to farm habaneros, building relationships with local farmers, and creating another unique sauce from cobanero peppers, that we personally source from Mayan Q’eqchi' farmers in Guatemala. Our Guatemalan connection is especially rewarding because we directly contribute to developing economies, and facilitate entrepreneurial growth in neglected parts of the world. We are bringing business directly to hard working people that are propelling their families out of poverty. Sustainability is important for everyone, especially food producers. We are conscious about where our ingredients come from, and look to find producers who take full ecosystems into account. We look for products that are better than organic. Organic certification takes great steps to motivate the production of healthy food. However, this certification has holes, which is why we create relationships with the producers themselves, so that we can be sure we are providing you the freshest and healthiest foods. The success of Green Belly comes from our secret recipe that focuses on flavor. Our recipe is simple, but very different compared to most green hot sauces that are vinegar-heavy, poorly spiced and reliant on acidic tomatillos for body. 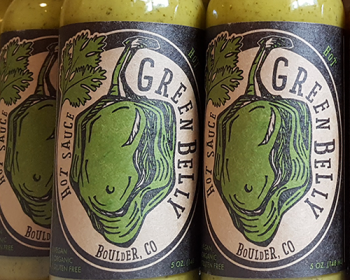 Green Belly uses loads of organic cilantro and garlic to give our sauce a fresh, herby body. We continue to blend in ripe habaneros, olive oil and organic apple cider vinegar to create the right balance of acidity, heat and flavor. 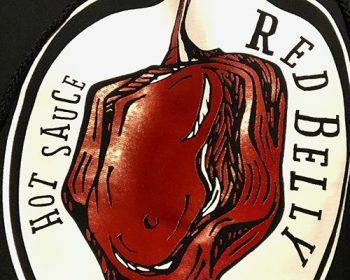 The success of Green Belly pushed us to create our second sauce Red Belly with a unique smoky flavor that stems from the Cobanero pepper. This dark red and wrinkly pepper comes from the cloud forests of Guatemala where Mayan communities have been harvesting and smoking peppers for millenia! We have paired the fiery Cobanero with fire roasted tomatoes and garlic to give the sauce a fresh body packed with flavor! We source the Cobanero peppers from Guatemala ourselves. We make sure that we source the best, fresh smoked peppers we can find. We pay a fair-trade price that benefits local producers and vendors. This is especially rewarding because we directly contribute to their developing economies, indigenous farming communities, and further facilitate entrepreneurial growth in one of Guatemala’s poorest regions. We are bringing business directly to hard working people that can benefit with bigger markets for their goods. Giving back to the local communities that produce the amazing flavor of the Cobanero pepper is one of our highest priorities. In our journey into the food world we have been guided by a cross cultural connection of flavors. Which brings us to our newest product, Black Belly Beans! If you have never had the chance to try the now world famous Guatemalan black beans, you are really missing out on one of the most delicious and nutritious meals you can have! These beans are the staple food in Guatemala and the most reliable source of protein for people who do not consume meat all the time. No matter what part of the country you are from, rich or poor, urban or rural, you can find black beans in every kitchen in Guatemala. 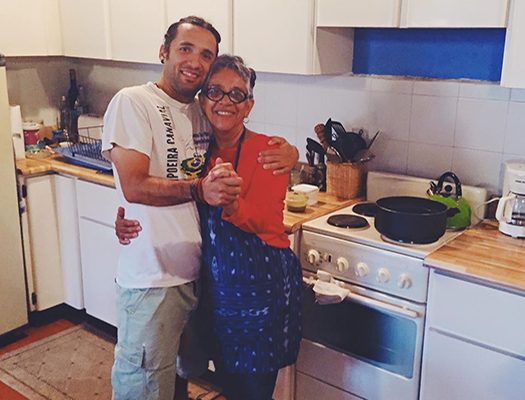 Juan has kept up the tradition (and straight love for them) by cooking the traditional frijoles negros the same way he learned in his mom’s kitchen. Friends and family are the driving force behind this business. Spending time with family creating a sustainable business has been a great way to connect. We are able to spend quality time overcoming challenges that abound in startup life. This is also an amazing opportunity to work with friends and connect with them in new ways. Through these interactions we have been able to grow our relationships and continue to transform our communities. Now it’s all about the love for what we are creating. We want to connect you to our delicious products, and create such a spectacular experience, that you love sharing it with friends and family of your own. We encourage you to dive in, and fill up your heart with what we offer!